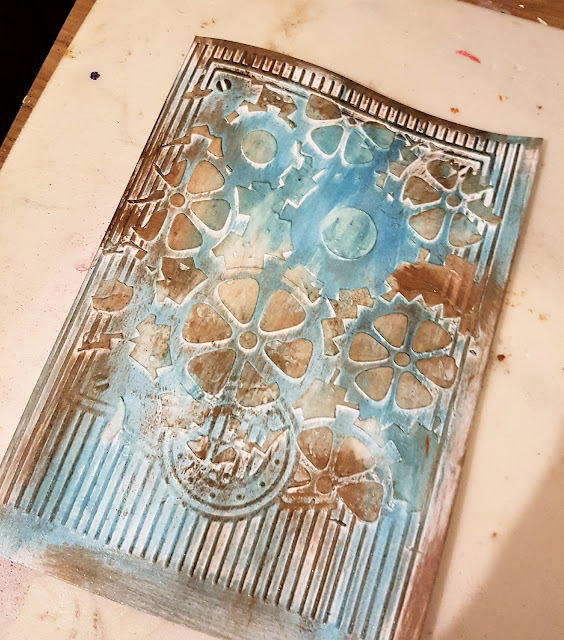 I have a new card tutorial for you using Sin City Stamps and some basic mixed media techniques. 1) Take a 5 x 7 card and emboss with an embossing folder. 2) Place the stencil over the card and apply modeling paste. 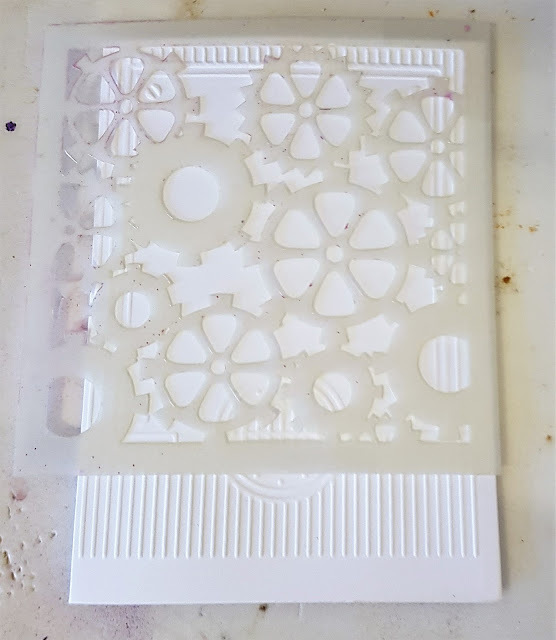 Leave to set or use a heat gun. 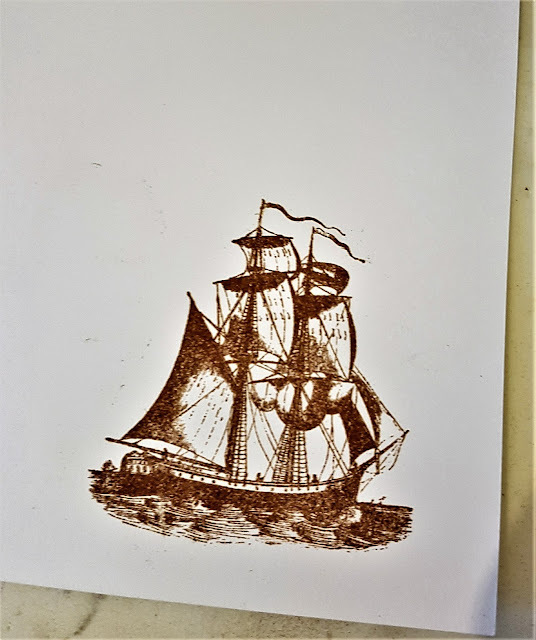 3) Stamp out the ship image onto card with sepia ink and then heat emboss using copper embossing powder. 4) Rub over the embossed areas with the metallic luster, Use a baby wipe to blend the colors. 5) Cut a strip of stripy paper and corrugated card and layer together. Next cut out the ship image and adhere over the top. 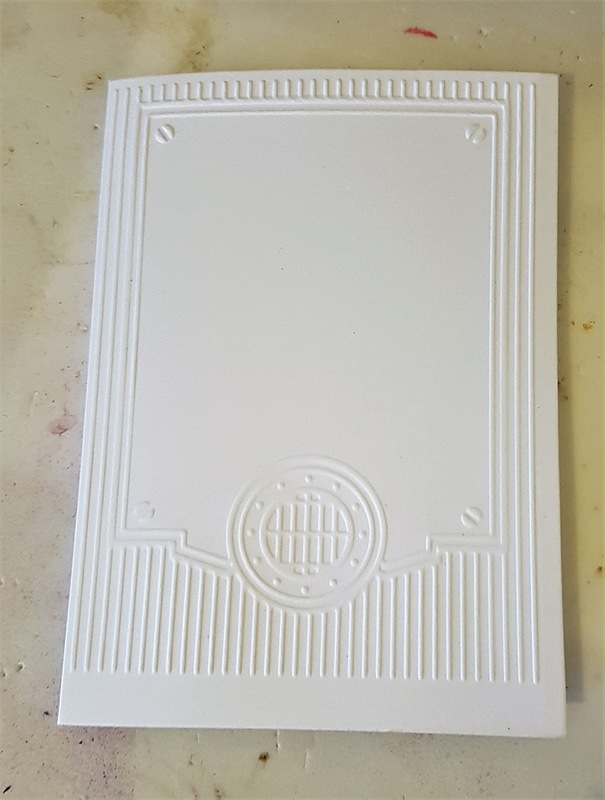 6) Make two small holes on either side of the card. 7) Thread a charm over a length of twine and thread through the holes and knot. 9) Use the words with foam tape to create sentiments. Amazing card! I love anything to do with the ocean!